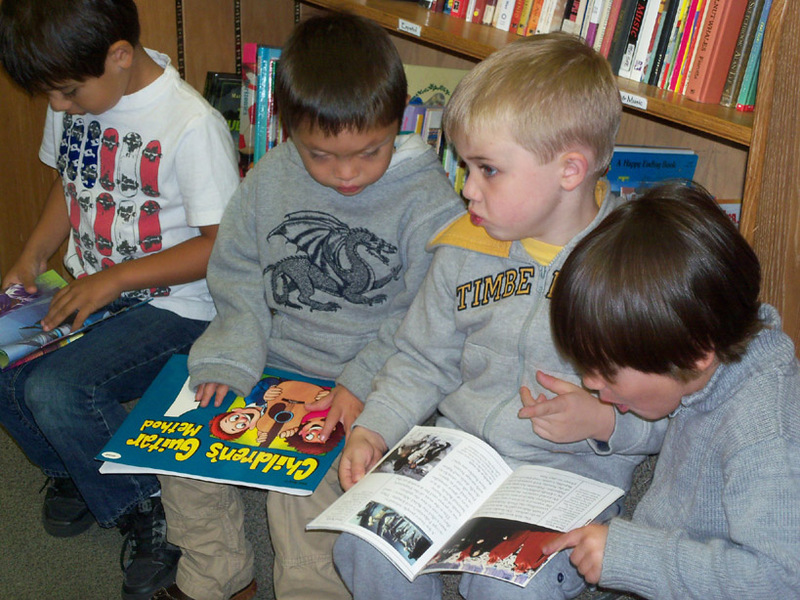 You are currently browsing the Bookmobile News weblog archives for December, 2012. The younger kids and their families are getting into the community service act, too! Hot on the heels of our big haul from Healdsburg, led by their high school Interact Club, we were blessed with bountiful donations from students at both Brush Creek Nursery School and Santa Rosa Accelerated Charter School (SRACS). We had a marvelous time picking up the books at Brush Creek, as the kids came on board to find out about what we do, and to learn that it’s fun to give as well as receive. The photo above shows some of the boys checking out the donations before they hit our shelves. A big thank you to Cynara and all the families that participated. SRACS is an old friend to the Free Bookmobile, having held one of our first children’s book drives two years ago, and our only bake sale benefit to date! Now they have a new crop of 5th and 6th graders and these students were eager to demonstrate commitment to local literacy by clearing out their homes of books they had outgrown. We salute the effort of teacher Leslie Loopstra and other staff members to integrate real world action into these kids’ curriculum. Go, SRACS! Talk about a community effort! 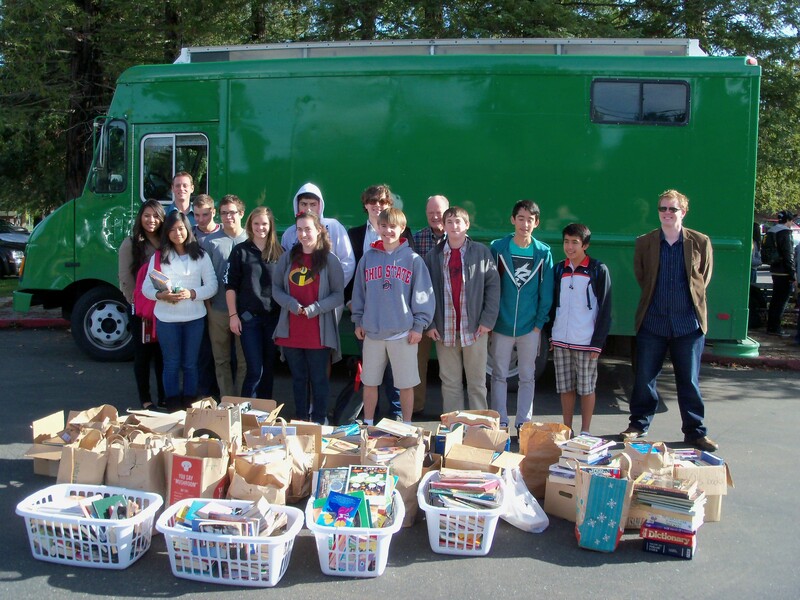 Led by local booster Andy Esquivel, the Interact Club of Healdsburg High School recently organized a book drive to benefit the Free Bookmobile. As soon as the word got out, these enterprising youths received a generous donation form the Healdsburg Community Church of about 2500 books. They then gathered several hundred more through Healdsburg High families, the Healdsburg Senior Center, the Rotary Club of Healdsburg Sunrise, and the Rotary Club of Healdsburg. It’s always inspiring to see youth in action, practicing the skills that will create tomorrow’s leaders. We were thrilled to be the recipients of their efforts this time around, and wish them the best in all their plans to make the world a better place.